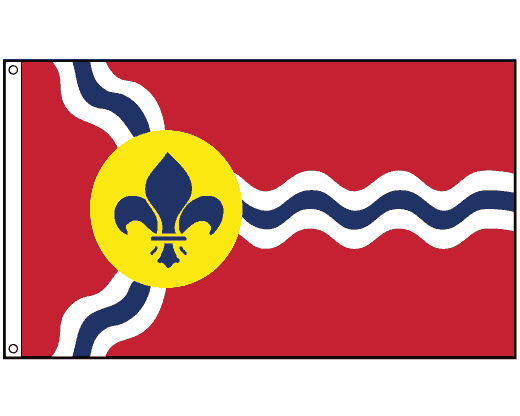 The St. Louis flag has wavy white and blue lines representing the Mississippi and Missouri rivers on a red background. 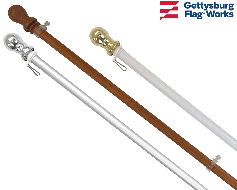 At the meeting of the rivers is a gold circle with a blue fleur de lis which symbolizes the city of St. Louis with it's French heritage. 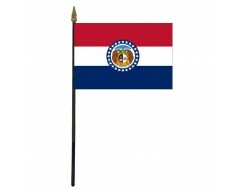 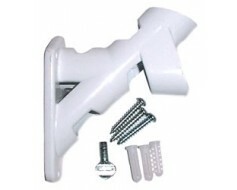 Nylon outdoor St. Louis flag with header & grommets for mounting. 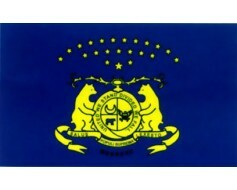 The current St. Louis was officially adopted in 1964. 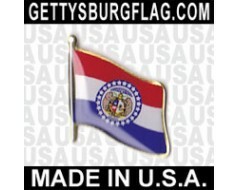 If you're looking for a St. Louis, Missouri flag in a size or mounting type not shown here, please call.